Warsaw (AFP) - Poland's conservative party chief who appears poised to win the October general election has ruled out taking in refugees, bolstering the hardline of other eastern EU countries on the migrant crisis. "Do you want us to stop calling the shots in our own country? Poles don't want this," Law and Justice (PiS) party leader Jaroslaw Kaczynski said this week during a special Polish parliamentary session on the crisis. "We're definitely in favour of helping, but in a safe way. In other words, financially," the right-wing eurosceptic added, insisting Poland should not take in any refugees. The European Union is struggling to cope with the arrival of hundreds of thousands of refugees and migrants fleeing conflicts in Africa, Asia and the Middle East -- especially Syria. The influx -- the greatest migratory flow in Europe since the end of World War II -- has created a deep rift between western and poorer eastern EU members, with Hungarian Prime Minister Viktor Orban leading the hardline group. 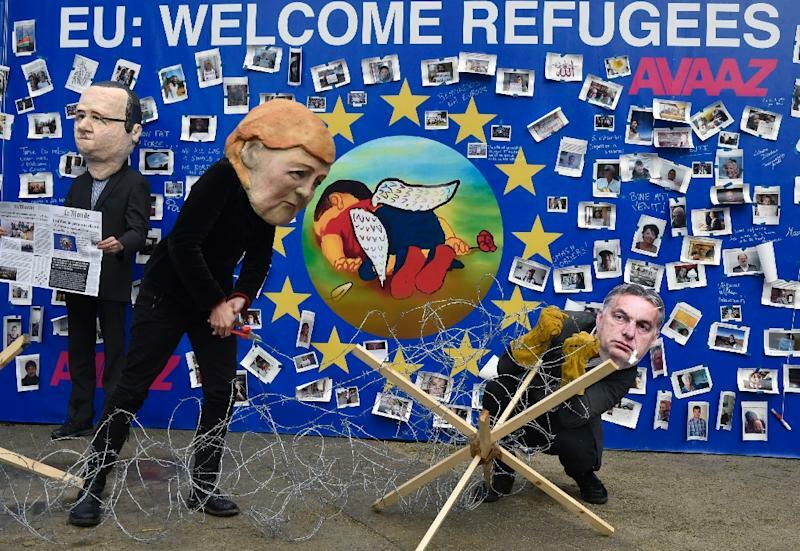 The Czech Republic, Hungary, Poland and Slovakia have staunchly rejected a European Commission plan to relocate 160,000 refugees among the bloc's 28 states via a compulsory quota system. This anti-migrant front will spread if -- as opinion polls suggest -- Kaczynski's populist party wins the general election on October 25 and comes to power in the eastern European powerhouse. "Especially if he (Kaczynski) ends up governing on his own," said Stanislaw Mocek, a political scientist at the Polish Academy of Sciences. "Kaczynski has a predilection for Viktor Orban's system of government," he told AFP. The latest opinion surveys give the populist PiS party between 32 and 36 percent of votes, compared to between 22 and 26 percent for the governing centrist Civic Platform (PO). Following Orban's example, Kaczynski has painted a menacing picture of the supposed advance of Sharia (Islamic) law through Europe and accused Berlin of having had a hand in bringing about the migrant crisis. "Who created the magnet for attracting economic migrants? Germany. And it's their problem," Kaczynski told parliament on Wednesday. The comments were reminiscent of the anti-German rhetoric that became Kaczynski's trademark during a 2006-7 stint as prime minister. He comes from a political family as his twin brother Lech Kaczynski was Polish president from 2005 to 2010 when he died in a plane crash on an official trip to Russia. Bratislava, Budapest and Prague are taking a similar anti-German line, which according to a study from the Polish Institute of International Affairs (PISM) "has brought about the first serious chill in their Berlin ties in recent years." Polish Prime Minister Ewa Kopacz said Kaczynski's parliamentary remarks were "the first sign of the road towards Poland's EU exit". Her government has proclaimed its commitment to European solidarity, even as it expresses its own reservations about taking in migrants. The country of 38 million people has so far agreed to accept only 2,000 refugees, but the European Commission has assigned it an extra 9,287 individuals within the quota plan. Warsaw is negotiating the number and setting conditions for its agreement, which could hamper the centrist PO's bid for re-election. Kaczynski's stance falls under his party's campaign strategy, according to Maciej Gdula, a sociologist at the University of Warsaw. 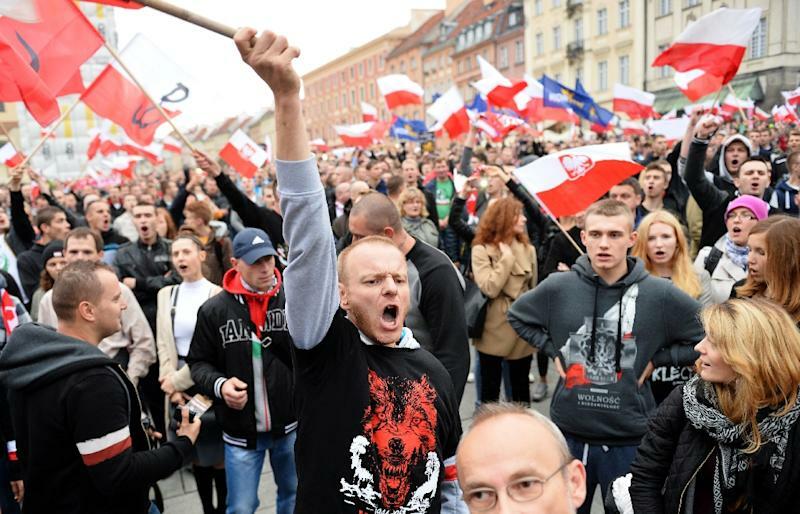 The tactic appeals to Poland's ethnic and religious homogeneity -- 90 percent of the population considers itself Catholic -- and widespread wariness of an influx of Muslim refugees. Kaczynski notably claimed in his parliamentary address that Muslim refugees would end up trying to impose their way of life on Poles. He cited Britain, France, Italy and Sweden as cautionary tales, alleging that there were areas in the Scandinavian country that were outside state control and where young girls could no longer wear short skirts. "He is drumming up hysteria before the parliamentary elections. He understands that it's a time of crisis and he wants to capitalise on that and play on people's fears," Gdula said. 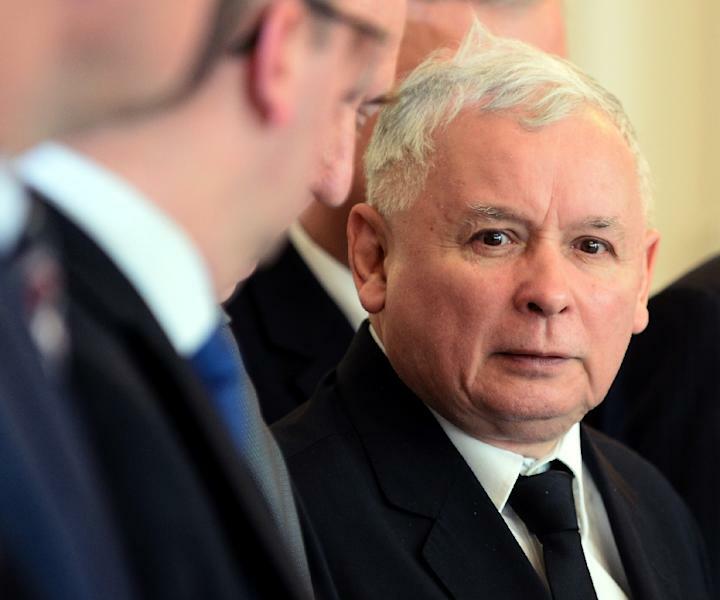 "Kaczynski is also appealing to an old historical viewpoint according to which Poland is a bulwark for Christianity in the east and must save Europe from itself."